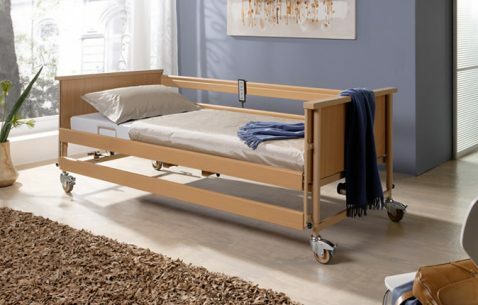 Dali electric nursing bed is a 4-section, profiling, variable height bed. 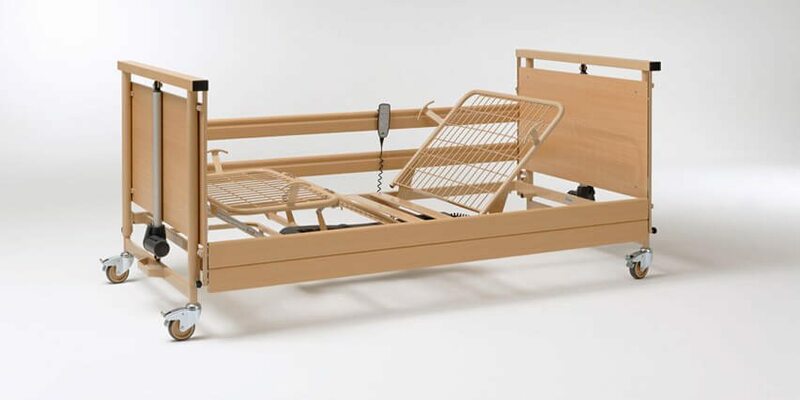 It is constructed only from high quality components such as Linak electrics and Tente castors and tested well beyond the requirements of the latest British and European standards. 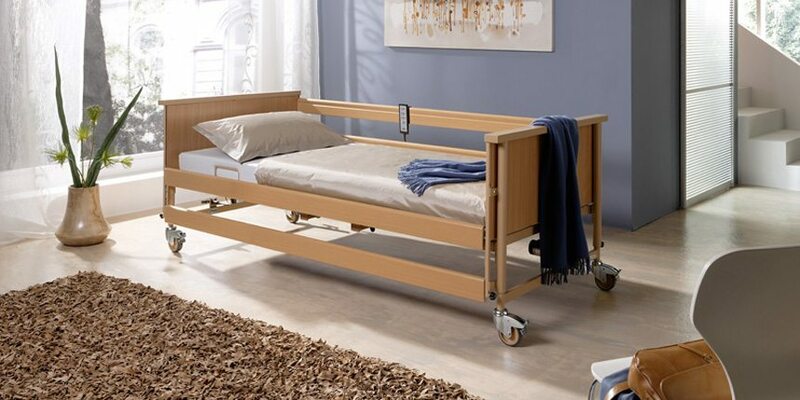 This bed comes in an attractive wood finish. 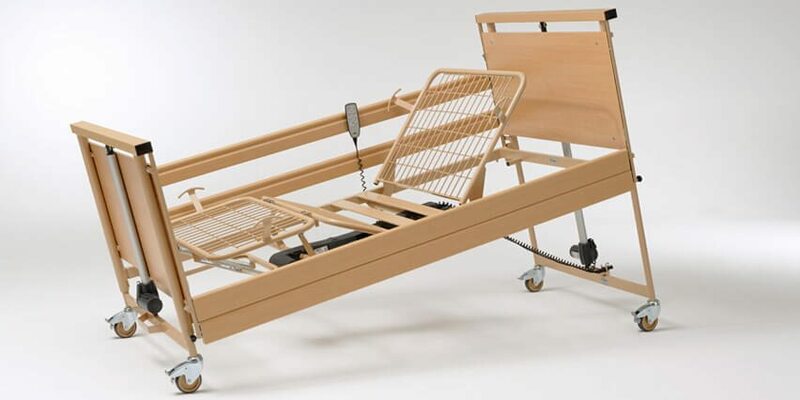 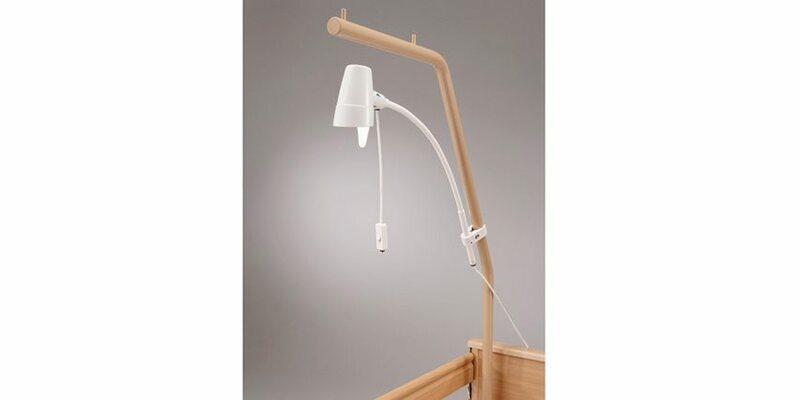 Side rails are available in either wood or metal.